Questions about Kichler Lighting 5928TZ? Willowmore is the name of a small trading village located in the Eastern Cape of South Africa. 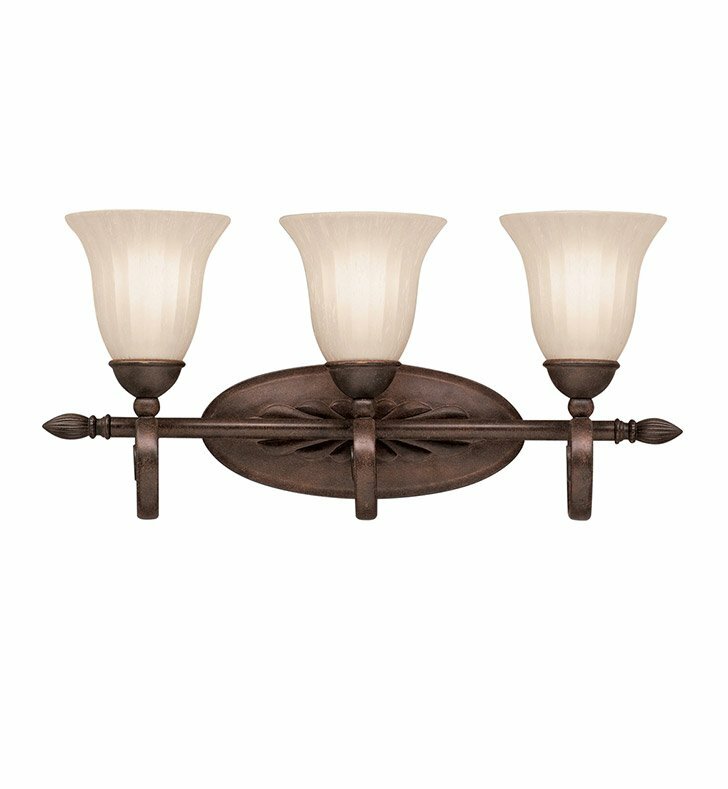 Much like that community, this beautiful 3-light Willowmore Bath Sconce is a vivid sight to behold. The Tannery Bronze finish gives a distinct, energetic fluidity. The diffuser covers a 100-watt (max.) bulb and is made from Distressed-etched glass, allowing for an almost creamy opaque light, which provides additional ambiance in your room. It measures 23 1/2" wide with a body height of 11". This fixture is U.L. Listed for damp location. Dimensions: H 11" W 23 1/2"